Running a business can be a stressful affair. But it is essential that amongst the daily process, running a team, and ensuring your customers are happy that you don’t forget about security. Despite the majority of businesses employing the help of CCTV to watch over their premises these deterrents are not enough. With offences against businesses estimated to account for 20% of all recorded crime in the UK, it is essential that your security measures are capable of protecting and securing valuables within the warehouse. As an initial deterrent Security Grilles are an ideal solution for your external warehouse doors to ward off potential thieves and prevent unplanned attacks. This versatile solution is both robust and fully retractable and can be securely fitted on commercial warehouse doors, windows, and garages. 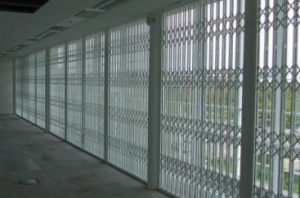 Other than use on the external building, security grilles can be used on warehouse interior doors to gate off and provide additional security for high risk stock areas within the building itself. With a range of locking mechanisms and multi-lock systems at play warehouse steel doors can provide sound warehouse entrance security to your commercial premises. 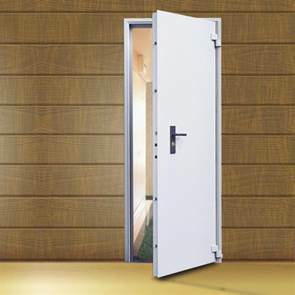 Secured with unrivaled locking systems, steel doors for warehouses are additionally both drill and impact proof as well as fitted with an anti-jemmy bar lip to prevent unauthorised entry by intruders with the use of a crowbar. Warehouse security cages, which can be designed and custom built, are the ideal solution in terms of both stock organisation and security. 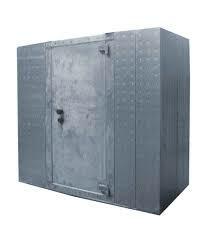 These robust systems combined with warehouse cage doors offer a safe place for larger, high value equipment which is too big or otherwise unsuitable for more standardised safes. 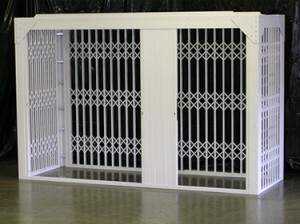 Additionally, a security cage for the warehouse is often used for the secure storage of hazardous materials; small plant and machinery found in warehouses and building sites; security for computer services and other IT equipment where ventilation is as equally as important as being locked away; and restricting access to sensitive data or high volume valuables. Not only in use within at risk domestic environments, secure rooms are an effective solution against theft and burglary in the commercial sector too. Easy to install, they don’t disrupt the original building work and can, therefore, be easily moved if you decide to change premises. This effective solution against not only burglary and theft but fire also is a fully enclosed system made up of 6 sides at all the same thickness. Need Help Securing Your Premises? Our team of security experts are on hand to help you purchase the most suitable security measures for premises. If you’re not sure exactly what you need, then please don’t hesitate to give us a call on 0117 967 4994 for more information and advice. Or visit our page on warehouse security measure and best practices.